Product descriptions are meant to convince customers to buy things, right? But if a shopper can’t find your product description, it will never work its magic. That’s why you need to make sure that your product descriptions pop up higher in the search rankings. But how do you do that? 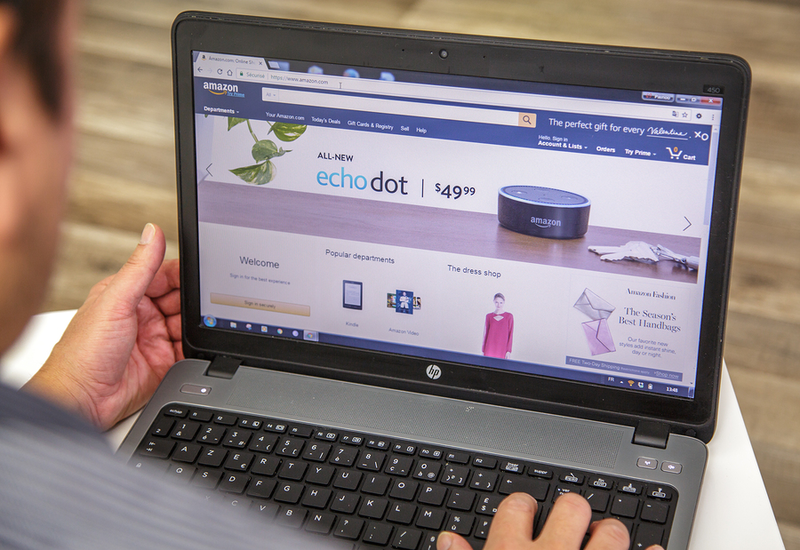 Writing a good product description so that a search engine can find it is a subset of a larger discipline called search engine optimization, or SEO. SEO is a set of practices that help search engines classify your site so your audience can find your website. 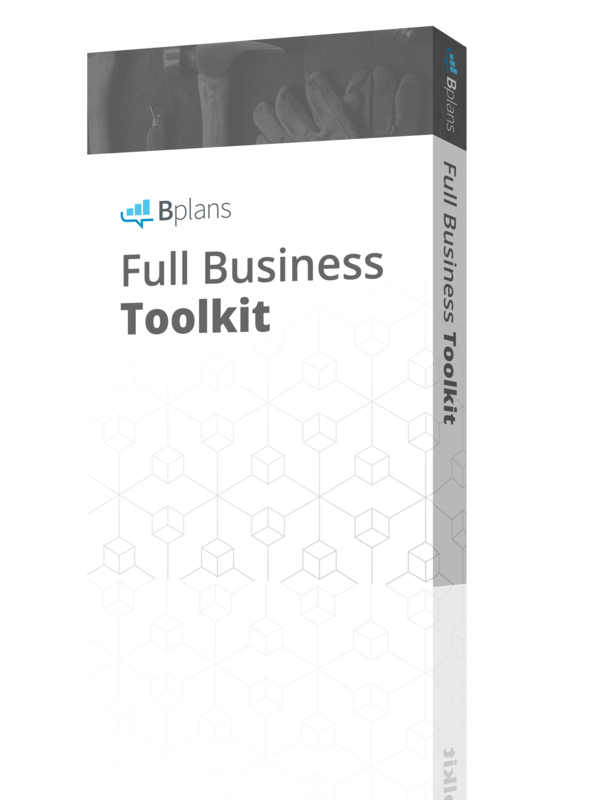 New businesses’ product pages need to be descriptive enough in the right way so search engines will find them. SEO does involve knowing a bit about how web pages are formatted. Going into the details in this post would take us away from our purpose. Therefore, if the following sounds like gobbledygook, I recommend that you or your web developer read this beginner’s guide to SEO from Google (PDF link) first or take an online tutorial in basic HTML. Now that we’ve got that covered, here are some ways to improve your descriptions for search engines. If you’ve never written a product page before, a great place to start is to look at how Amazon does it. After all, they are the biggest online seller and their products pop up regularly at the top of search engine queries. We don’t want to copy them exactly, of course, but they can teach us some valuable principles. If your product has an official name in your catalog, the first place to put it is in the title tag right at the beginning of your product page. That helps search engines identify the product properly. Amazon does this with their own title tags. 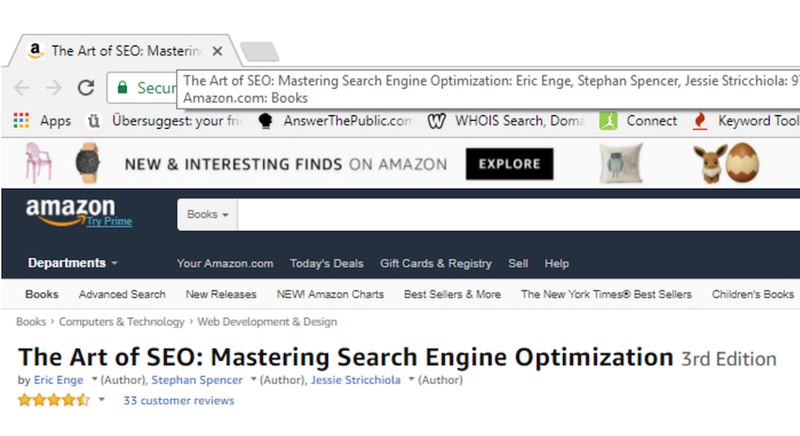 Here’s an example Amazon page about a (very good) SEO book. If you look at the title bar of your browser window, you’ll see that the name of the book is listed right at the beginning of the sentence, followed by the author’s names and the ISBN. The most important part of the title, the book, is also the H1 tag of the page. Any keywords, like a product name, that are in both the title and the first H1 tag will be strongly tied to the final indexing of the page. But what if you’re selling generic products, like t-shirts? Let’s take a look at a popular t-shirt site example and see how they do it. Note that the title and the H1 tags share the same language. Options for color, size, and placement are built into the page rather than on separate ones. That helps search engines find the single page that most closely relates to the product and keeps them from becoming confused with a ton of variations on color-size-image placement. Also, don’t make your product names super-generic. For instance, if you sell spoons, just having the title and H1 tags read “Spoons” and nothing else would look drab. Something like “stainless steel soup spoons with princess stamping” would give humans and search engines enough information to properly judge the page. 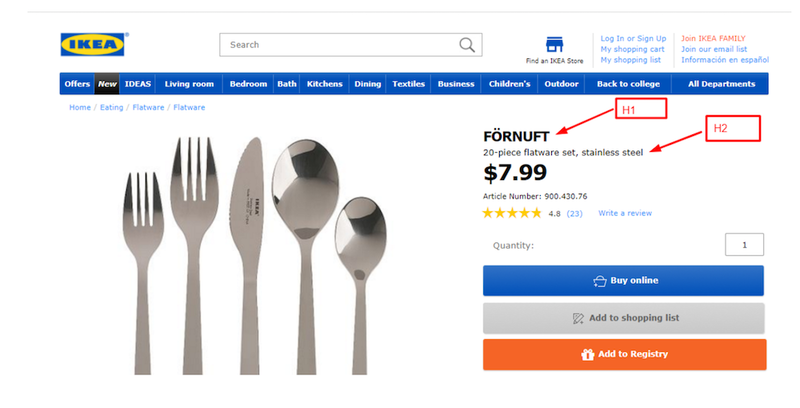 IKEA, the popular furniture store, names its items to give each one a distinctive branding. Here is their flatware set, FÖRNUFT. Note in this example that the H1 tag only has the name, but the rest of the title is found in the H2 tag right below it. The last tag you should keyword is the meta tag. The meta tag is the bit of text that you see above the URL in a search engine result. Without a meta tag, search engines will default to the first text they find on the page. You can think of the meta tag as a mini-ad for your product. 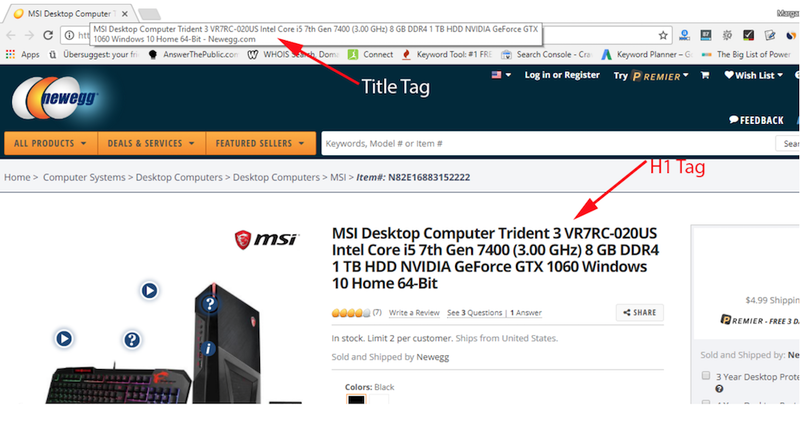 It should contain language to explain what the page is selling so the searcher will click your link. However, the meta tag is only limited to about 155 characters, so it’s not the place for long persuasive text. 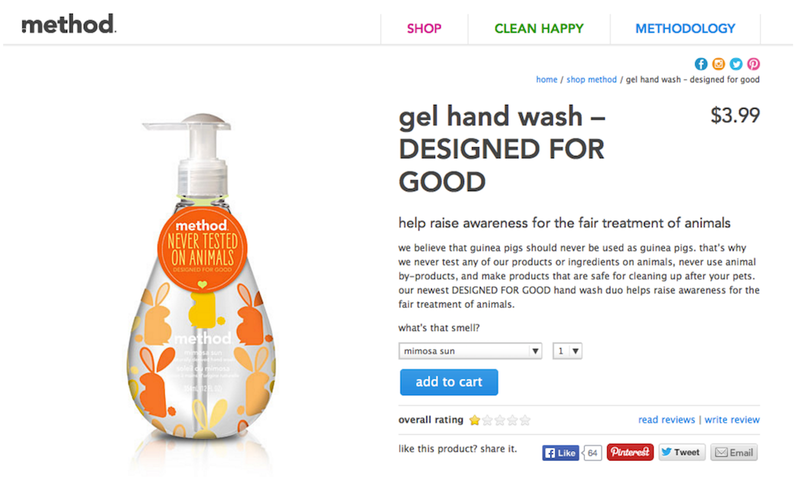 For product descriptions, it’s not usually necessary to agonize over keyword selection. If people are looking for a specific product then the name or type of item will usually be the main keyword and that is enough. But, there are some pitfalls to avoid. Many resellers get a suggested product description from the manufacturer; you shouldn’t use this verbatim. If you are using the manufacturer’s description for your product online, then your product won’t stand out because there will be many others who will use the same language. How do you differentiate yourself? The solution to this is to extract the keywords from that description that are relevant to your audience and then put your own take on it. Computer builders have very specific demands and there are many component features they look for. Thus, the title and H1 tags are quite long, but to a computer builder, every part is relevant. If you click the specifications link, you can get detailed specifications, but note that these are well organized and uniformly formatted (i.e., not just a dump of text). If you go to other product pages the lists are formatted similarly. 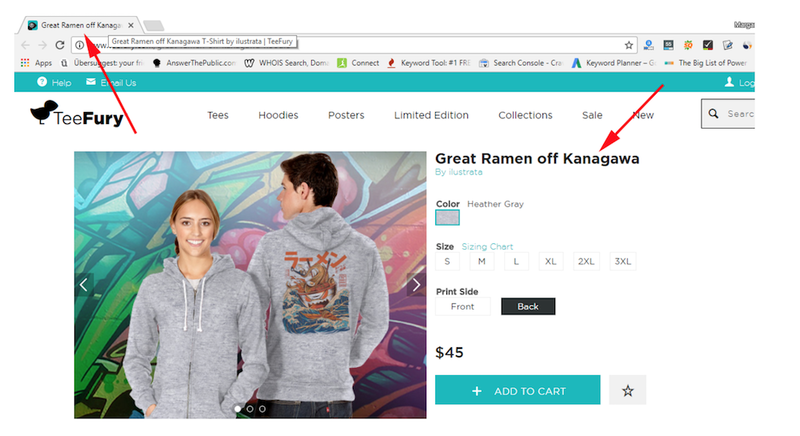 Also, like the T-shirt site, the most popular variations are placed in selectors rather than on separate pages. Another thing to watch for is keyword stuffing, the practice where you just load your description with keywords. If you do this, your text won’t make sense for and it won’t be ranked well in search—and your potential customers won’t understand it. If you’re still stuffing the same keyword into a product description over and over again, that’s another no-no. You shouldn’t have to use a particular keyword more than once or twice in the body of a product description page. If you look for the words in the title and the H1 tags through the rest of the copy on the examples so far (excluding reviews), you can see they aren’t artificially placed. If you have to shoehorn your keyword into the copy, there’s either something wrong with your copy or your keyword. One of the surest ways to mess up your product descriptions is to use a lot of duplicate language on your own site or to copy descriptions from other sites. For example, if you sell jeans and have several brands, you can easily come up with a format for the titles of the product pages, you can just use the name of the jeans, then use the category of the product and finally put your brand in the end. Be consistent across your product listings. One of the hardest things is to avoid duplication in product descriptions, but it’s crucial for search engine optimization success. Search engines don’t like duplicate content because it confuses them, especially when it’s on the same site. But some people take it too far and agonize over descriptions by trying not to duplicate anything. Don’t worry. You can have the same headers and footers and be okay. You can have the same general layout (like Amazon!) Just don’t use the same text over and over for the meat and potatoes section of your copy. Let’s say you sell sweaters in different colors. Everything is the same but the color. How would you differentiate them? First, put the color in both the title and the H1 tag so the search engine can pick it up. Then just slightly change any sentences that involve the color so they’re different. Search engines are much easier to please than people. There are lots of tweaks you can make in ad copy to make it appealing to humans, but search engines just want clarity. If your product descriptions aren’t popping up as high as you’d like them to be, try some of these SEO changes and see how the ranking moves.